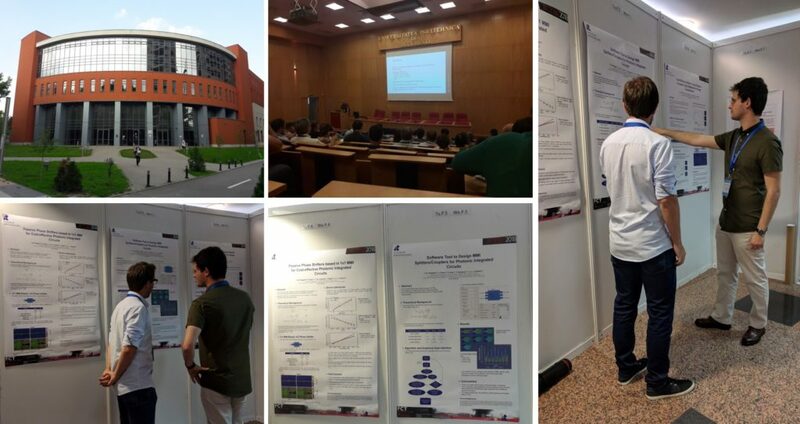 Tiago Morgado, a PhD student from the Instituto de Telecomunicacoes in Aveiro (Portugal), received an ITC Conference Grant from this Action for participating in the International Conference on Transparent Optical Networks (ICTON) 2018, which took place at the Library of University Politehnica of Bucharest (Romania) from 1st to 5th of July, 2018. He presented three posters in which was showed the work that he has been developing about multimode interference (MMI) devices and its application in Photonic Integrated Circuits (PICs). ← EUIMWP presented at Conference of Photonic-Microwave Club of the Optic French Society, in Toulouse.